Nice has their socca, India has their own version of chickpea-flour pancakes. Decidedly delicious, but something of a challenge to make. I have made them, and they turned out tasty, but I had to chase the boys out of the kitchen so they wouldn’t hear me curse at the mother-flippin pancakes that would not flip! That stuck to the pan! Or fell to pieces!! It’s the equipment, I tell you! I don’t have the right equipment!! So now, when I make my own version of chickpea-flour pancakes, I cheat slightly, by adding some regular wheat flour and one egg. That’s it! Not so terrible! They’re still chewy, crispy, and they still have that distinctive chickpea-flour-taste. If they fall apart a bit, never fear! They’re still delicious, even in pieces. They’re lovely used to scoop up tapinade or humus, or sauteed greens. Or you can go more elaborate, and fill them and make them a sauce, as I will soon show you. Here’s the Clash with The Cheat. Don’t listen if you’re offended by sweary language!! about 1 1/2 cups water. Mix the flours together, and add all of the flavorings. I like rosemary and thyme. You could instead add chopped cilantro, (finely diced) jalapeno and a little cumin. Depends on what you’re eating them with! 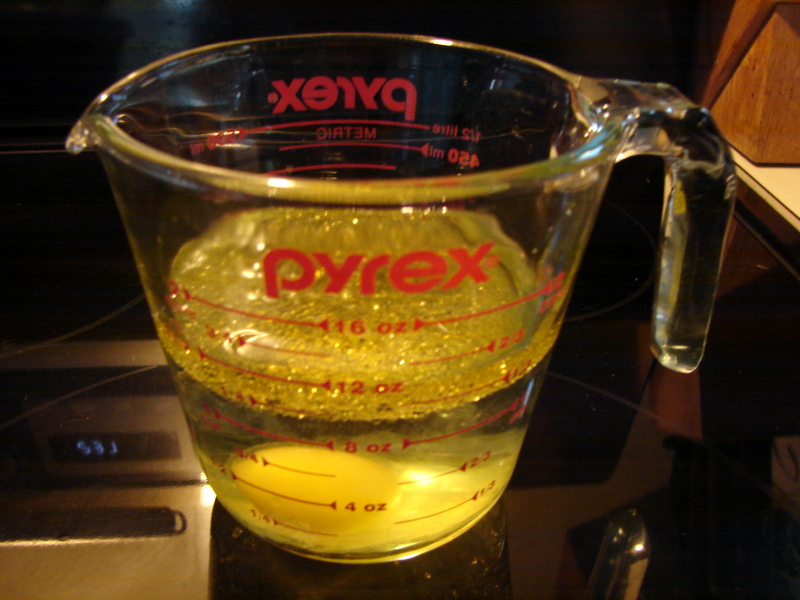 Mix the water, egg and oil together. I set it aside for at least half an hour, at this point. 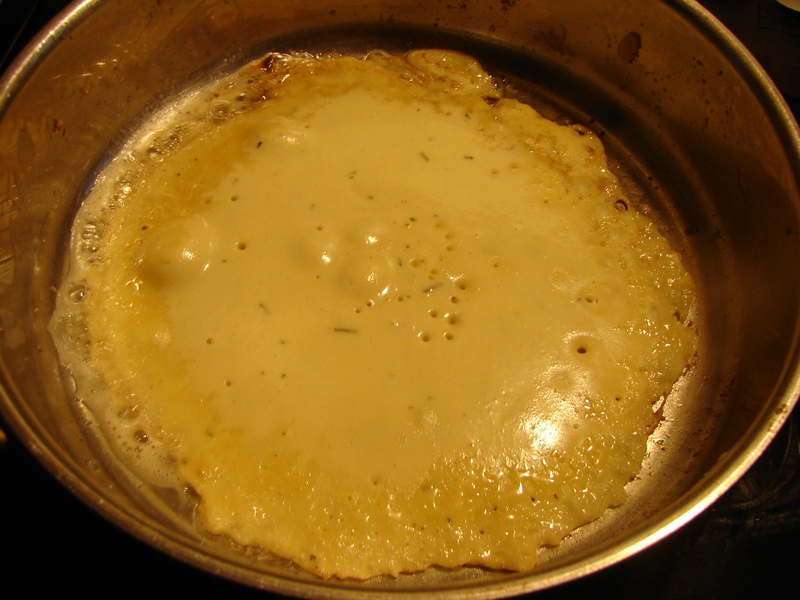 Then… Warm some butter or olive oil in a large frying pan. Butter is easier to work with, I find, but olive oil is more…vegan. 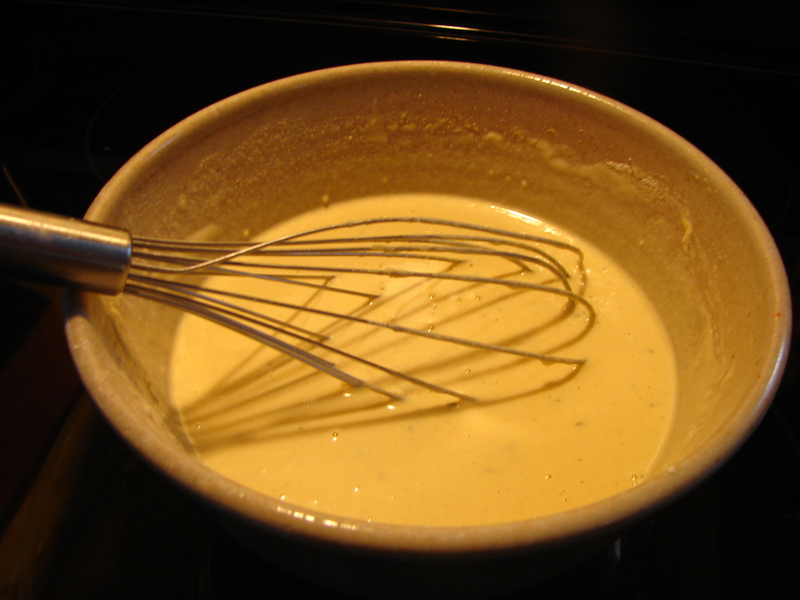 Add about 1/2 cup batter – enough so that when it spreads out, there’s still some space all around the edges. This helps when you’re trying to get your spatula under to flip it, and it allows the edges to get nice and crispy. When the top looks less shiny and starts to form little tiny holes, get your spatula under and turn it over. The second side doesn’t take very long to cook at all. You can pile them all on a plate until you’re done. 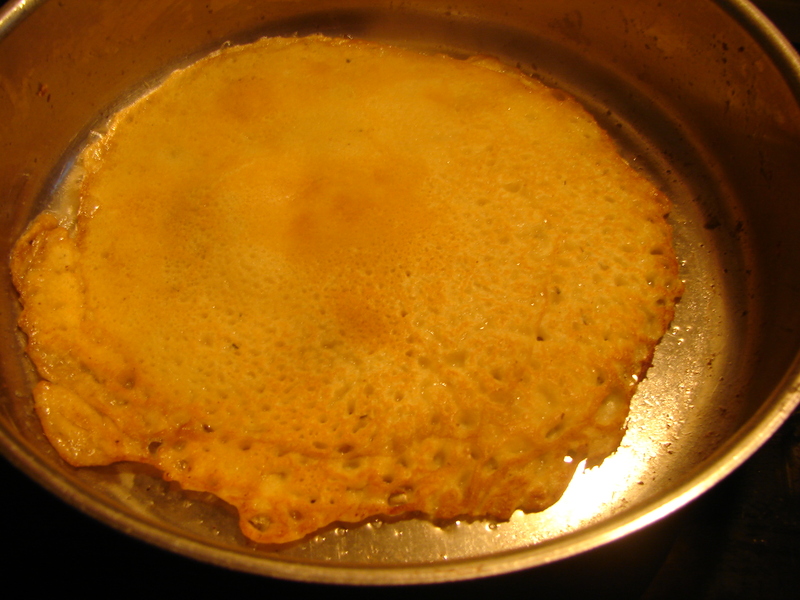 This entry was posted in recipe and tagged besan, chickpea-flour crepe, gram-flour pancake, socca by Claire. Bookmark the permalink.